This is a salad with some history. It’s said to have been the invention of Oscar Tshirky, who was the maitre d’hotel from the opening of the New York Waldorf Astoria Hotel in 1893 until he retired in 1943. 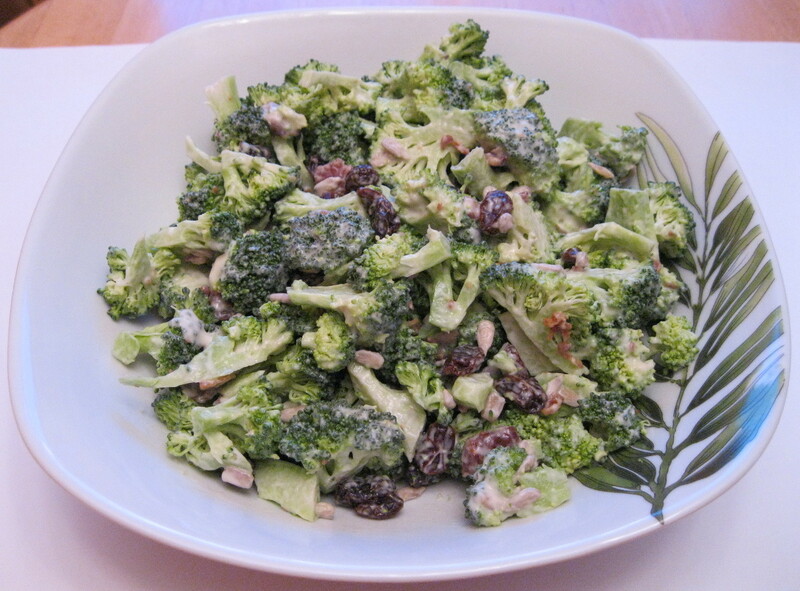 It’s a simple, but tasty little salad that goes very well with roasted poultry. The astringency of the walnuts plays off nicely against the mildness of the chicken or turkey, not to mention the stuffing! This particular version is even low-fat. While best served day-of, it will still be decent day-after. 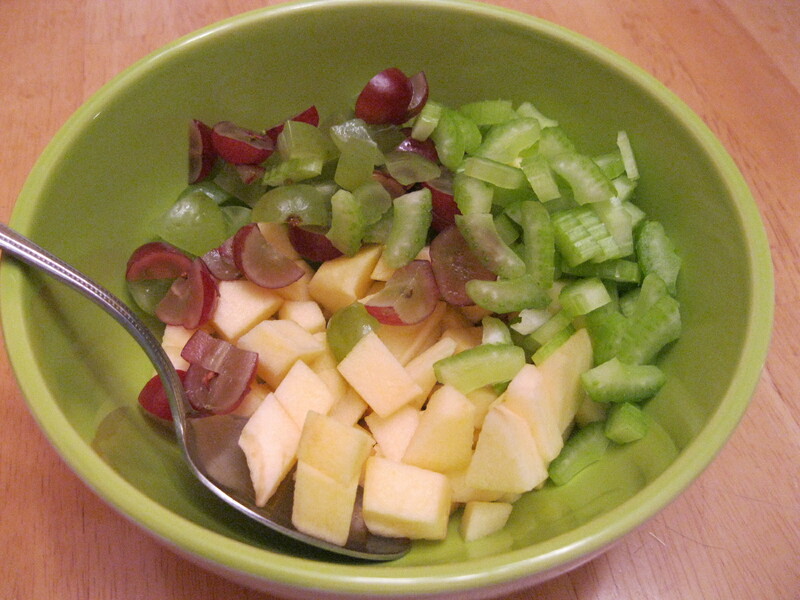 Toss together apples, celery, grapes, and nuts. 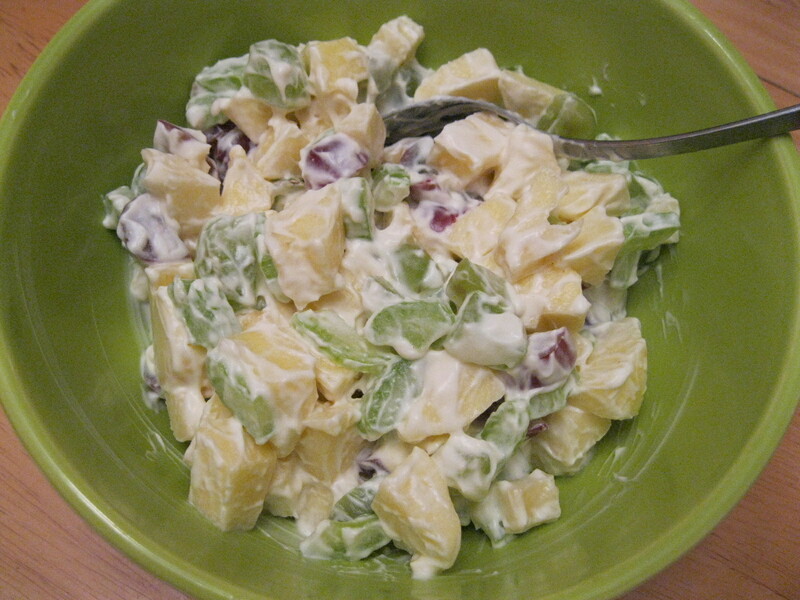 Combine mayo and sour cream and pour over fruit. Mix well. 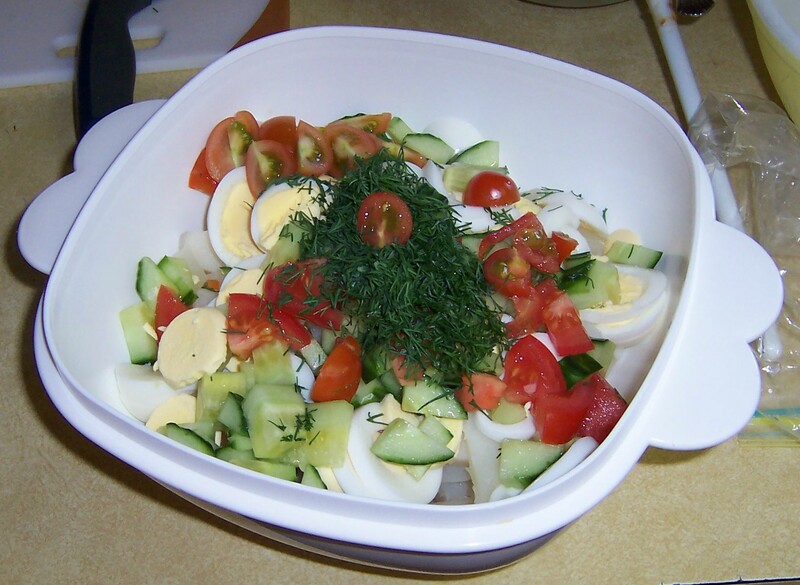 Potato salad is one of those dishes that has endless variations. This is my riff on the theme and it’s always a welcome summer-meal addition. Amounts can also vary widely, depending on how big a crowd you have to feed; I find this will feed 5 of us with leftovers, 8 or so with no leftovers, and if there will be more than 10 at the table, I have to peel more potatoes. 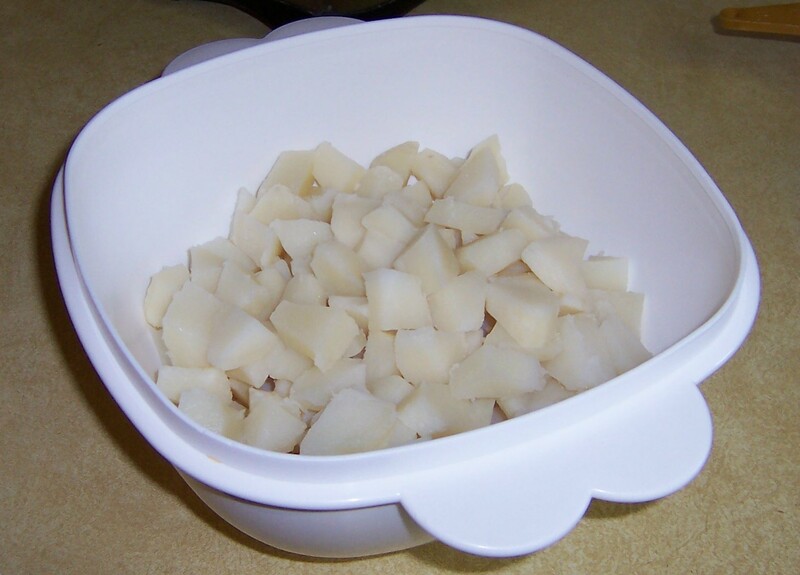 When the potatoes are cooled, chop into bite-site chunks. 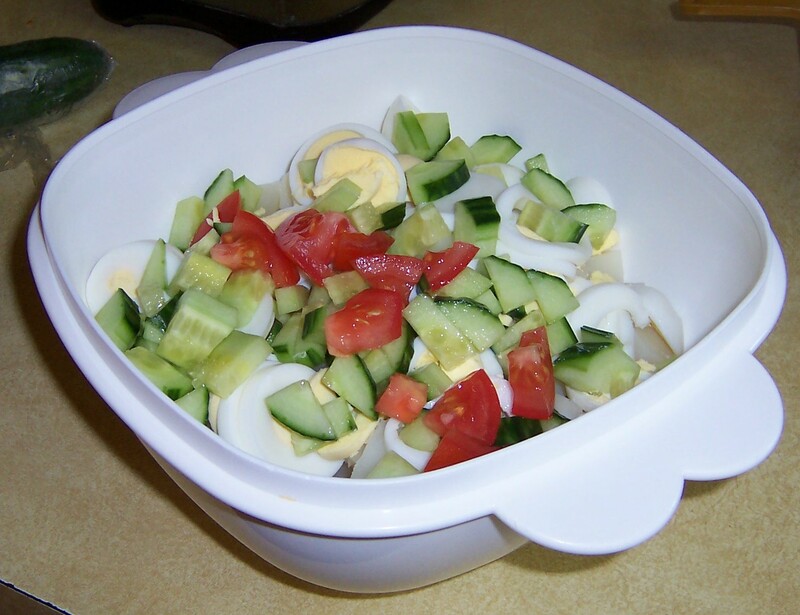 Slice hard-boiled eggs, add to potatoes. 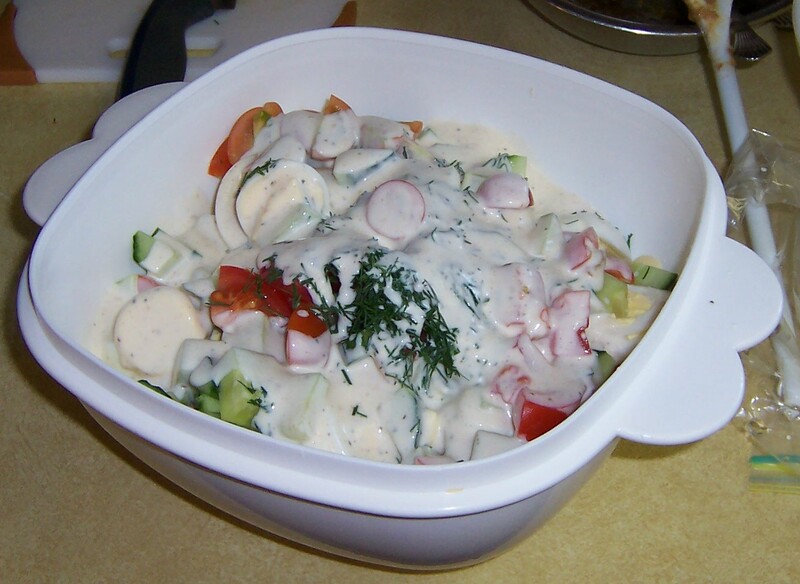 Gently mix in cucumber and tomato pieces. Sprinkle with dill. Whisk together mayo, milk and vinegar. 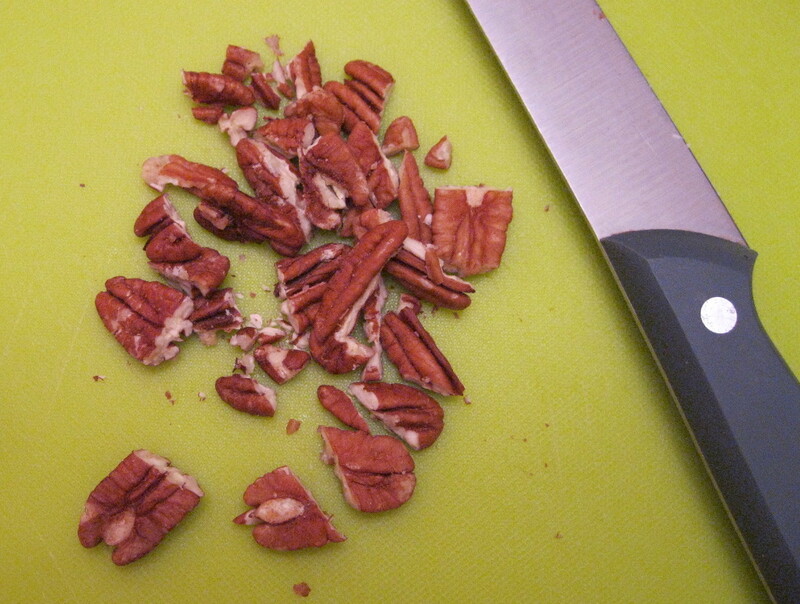 Stir in seasonings and adjust to taste. Pour dressing over vegetables and stir to coat. Chill salad thoroughly, 3-4 hours before serving.